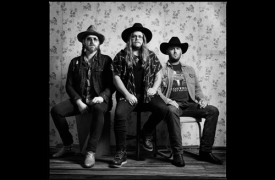 Quaker City Night Hawks' brand of hard rock n' roll is bred from Texas boogie, Memphis soul and heavy blues. Their music is southern rock right out of '75, played with the fervor of a sermon crackling out of the radio in a '68 Lincoln. They're the whiskey bottle you finished Saturday night and the prayer you said the next morning. Like a country gunshot on a humid night and your first illicit beer, Quaker City Night Hawks are the spirit of rock n' roll. Come shake your hips. Graves and the Bad Weather were raised on the streets of Southern California, scavenging the alleys and back patios for bits of rock n’ roll, scraps of folk, the last few drops of the blues and the occasional fix of punk. 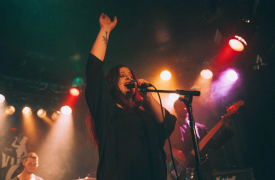 Husband and wife duo Taylor Barisoff and Leandra Graves are the palpitating heart of the band, coming from backgrounds and personal experiences that grow through their lyrics like weeds such as depression, self-harm, heart-ache and the will to fight back against it all. Together, they form a musical animal like no other, transmitting crunchy, foot-stomping riffs and intensely passionate vocals into otherwise stale airwaves, all the while muttering feverishly about a rock n’ roll revival like a lost prophet rooting through cigarette butts and broken guitar strings.